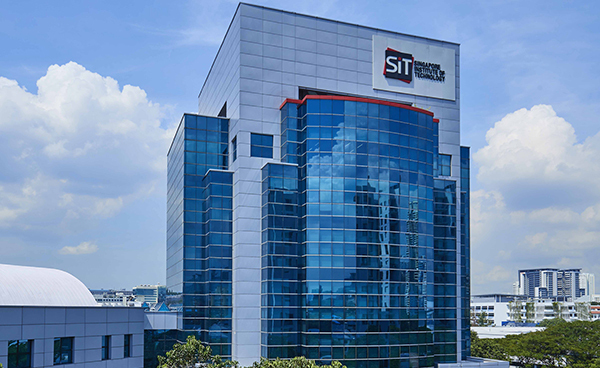 SIT’s Pharmaceutical Engineering programme is the first in Singapore. This programme is built on an interdisciplinary curriculum that intersects engineering and science, with the aim to deliver a rigorous education that has a strong industry focus. The goal of this programme is to produce graduates who are both theoretically grounded and practice-oriented for the knowledge-intensive pharmaceutical industry and related sectors. This programme focuses on the development and manufacture of the two largest classes of pharmaceutical drugs, i.e. (i) biologics and (ii) small molecule drugs. The programme’s unique curriculum which was developed in close consultation with industry is strongly girded with cutting-edge industry-relevant concepts and know-how. The curriculum is structured to train students across the full spectrum of core pharmaceutical development and manufacturing competencies, ranging from pharmaceutical product design to process development, operations, validation, and regulation. Modules geared towards business and management acumen development will complement the technical core. Students will spend two trimesters in industry under the Integrated Work Study Programme (IWSP) to acquire industry skill sets and apply taught theory to troubleshoot industry problems. To enhance their industry readiness, students will also receive industry endorsed competency-based certifications upon completion of selected modules, which will equip them with industry-validated skills that are attuned to employers’ needs. SIT’s Pharmaceutical Engineering programme aims to nurture and groom skilled professionals for the pharmaceutical industry in Singapore. Besides the pharmaceutical industry, this programme also provides a unique opportunity for students interested in pursuing careers in other relevant industries including chemicals, biotechnology, life science, nutraceutical, and the flavours and fragrances sectors. Diploma holders from any of the five polytechnics and A-level graduates are welcome to apply. Subject to approval, diploma holders may be granted exemptions based on the modules taken during their diploma course. Exemptions may also be considered for relevant professional or industrial certifications. Obtained a pass in any three of the following subjects at H1/H2 level: Mathematics, Physics, Chemistry and Biology. And also offer General Paper or Knowledge & Inquiry in the same sitting while satisfying Mother Tongue requirements. This is an introductory engineering math module, which will cover complex numbers, vectors and matrices, derivatives, and integration. This module aims to allow students to understand and work with complex numbers, use vector operators to solve static problems, use matrix operations to solve simultaneous equations, and understand and apply differentiation and integration methods to solve engineering problems. This is an introductory module in statistics for pharmaceutical engineers, aimed at recognising and applying the properties of probability and distributions in datasets. Topics include descriptive statistics, probability, confidence intervals, hypothesis tests, and statistical quality control. Real, contemporary data sets will be used to emphasise industry relevance. This module will cover the fundamental topics and concepts of chemistry in relation to drug design and pharmaceutical manufacturing. Structure of matter, periodicity and the periodic table, chemical bonding, states of matter, stoichiometry and equilibrium, reaction types, kinetics, as well as organic chemistry (functional groups and isomerism) will be covered. This module prepares students to formulate and solve mass and energy balances on chemical process systems in the pharmaceutical engineering context, and lays the foundation for subsequent modules relating to thermodynamics, unit operations, as well as process monitoring, automation, and control. In essence, this course introduces an engineering approach to problem solving by the following steps: (i) breaking a process down to its components, (ii) establishing the relations between known and unknown process variables, (iii) assembling the information needed to solve for the unknowns, and (iv) obtaining the solution using appropriate quantitative methods. This module covers basic molecular biology principles, as well as central dogma of biology that encompasses transcription, translation, expression. Cellular transport systems and involvement of proteins in transport regulation will also be covered. The aim of this module is to provide students with knowledge and analytical methods in engineering systems. It covers eigenvalues and eigenvectors, solving first and second order differential equations, Laplace transforms, power series and Fourier series. This module introduces students to programming in Matlab, and is designed to lead students to fluency in Matlab, including useful toolboxes. Problem-solving using Matlab is a key feature of the module, such that the Matlab proficiency learnt in this module can be extended to pharmaceutical engineering applications. This module will cover (i) equations of state of ideal and real gases, (ii) kinetic theory of gases, and (iii) the laws of thermodynamics: First law: enthalpy, thermochemistry. Second law: entropy, Helmholtz and Gibbs functions. Third law: rates of chemical reactions. This laboratory module comprises practical sessions aimed at introducing the basic principles and methods of experimental engineering thermodynamics, to provide fundamental understanding of the underlying principles of the Engineering Thermodynamic lecture module. This module will cover metabolic processes in eukaryotic cells for the production of human therapeutics. This module will also deepen students’ understanding of pharmacology by acquainting themselves with the underlying cellular and physiological processes of metabolism and pharmacokinetics. Focused topics in immunology will also be covered, which will help students grasp concepts behind modern medicine like antibody production and vaccination. This module aims to articulate the six sigma principles, for improved understanding of the concept of operational excellence in the pharmaceutical industry context. Topics covered include strategies, techniques, and tools for process improvement, statistical methods to improve the quality of process outputs by identifying and removing the causes of errors and minimizing variability in the pharmaceutical manufacturing process. This module is an introduction to current Good Manufacturing Practice (cGMP) in the pharmaceutical manufacturing environment. This module will cover the background of GMP and the regulatory review for pharmaceutical industries, from drug development to manufacturing of finished products. Topics include regulatory bodies for pharmaceutical industries, cGMP designs and requirements to achieve full compliance, contamination control procedures, and deviations managements. This module will cover expression systems in prokaryotic and eukaryotic hosts. Selection, archiving and characterization of production line as well as the study of parameters affecting expression and yield will be covered. Students will be equipped with knowledge in cell line development for production of therapeutic drugs. This module aims to ground students in the engineering aspects of bioprocessing with a focus on fermentation. Topics covered include (i) cell growth stoichiometry and kinetics, (ii) batch, fed-batch and continuous fermentation, (iii) bioreactor design, sampling and control, as well as (iv) enzyme reactions and kinetics. As a first principle course, this module aims to provide students with a basic understanding of finance theory and the ability to apply that theory when making these financial decisions in an uncertain environment. In particular, the study of finance involves three inter-related areas: (i) money and capital markets; (ii) investment finance; and (iii) corporate finance. This module builds on the Organic Chemistry module, with a focus on the identification and chemical optimization of drug molecules. Topics covered include the role of chemistry in the drug discovery process, selection and screening techniques, design of compound libraries, and real case study examples. IWSP is a work placement programme which stretches over two full trimesters. It is a graduation requirement for the PharmE programme. Students will be attached to companies, where they will contribute to real work in a typical industrial pharmaceutical manufacturing environment. Students will acquire in-depth knowledge in industrial operations pertaining to drug production and processing, to complement and advance classroom theory. This module covers instrumentation for characterization and quality control of biologics products, which includes fingerprinting and sequencing, biomolecule quantitation by spectrophotometry, electrophoresis, high performance liquid chromatography, proteomics, as well as analysis of bioburden, sterility, endotoxin, and extractables. Data interpretation and analysis using analytical statistics (e.g., multivariate analysis) will also be emphasized. This laboratory module involves designing and operating primary and secondary purification processes to recover biologics products from the fermentation broth, under industrial simulating environment. This module covers workplace safety and health, as well as process safety throughout the entire plant life cycle according to pharmaceutical standards. Sub-topics include identification and characterisation of hazards, HAZOP, risk assessments and preventive safety measures. This module covers instrumentations, tools and techniques for efficient monitoring of cell culture based manufacturing processes for continuous improvements and accelerated process understanding. Enhanced and integrated in situ Process Analytical Technologies (PAT) for routine process monitoring will be covered as well as best practices and challenges in data handling and analysis in process development or validation. This is a mandatory project which will be undertaken each student during their IWSP stint. The scope of the project will be linked to the student’s IWSP work assignment, with a focus on identifying and developing a conceptual solution to solve real industrial process bottlenecks. The capstone project will provide scope for the student to apply academic knowledge and workplace skills to troubleshoot and solve problems faced by industry, and develop innovation skills. This module introduces the analytical methods frequently used in characterization of pharmaceutical products, at both a practical and theoretical level. The theoretical principles of (i) equilibrium expressions, (ii) pH, volumetric, and gravimetric analysis, (iii) electrochemistry, (iv) spectroscopy and (v) chromatography will be covered. Practical sessions that involve the collection and interpretation of quantitative data, including experiments in the area of potentiometry, spectroscopy, and chromatography will reinforce the theoretical concepts learnt. This laboratory module offers practicals which are designed to enhance the theoretical design and operation know-how of the unit operations for recovery and downstream processing of small molecule drugs. In the pharmaceutical industry, validation is a process of establishing documented evidence which provides a high degree of assurance that a specific process will consistently produce a product that meets its predetermined specifications and quality characteristics. This course would covers the background and components of process validation (PV), and its role in cGMP, Quality assurance implementation program. Introduction to pharmaceutical process flow-sheeting; sizing and cost estimation of chemical processes; process economics. The module will focus on pharmaceutical and biopharmaceutical process optimization with simulation and scheduling tools. Real case studies from the industry will be covered. This module covers project management concepts used in industry. Students will learn basic definition and goals of project management processes and roles as well as project management life cycle and phases: Initiating, Planning, Executing, Monitoring/Controlling, and Closing. Management of time, resources and funding through tools and steps (e.g., Work Breakdown Structures, Staffing, Communications, Stakeholders, Adaptation, and Closure). In particular, this module will focus on applying concepts of project management to the specifics of the pharmaceutical industry. The students will be equipped with knowledge needed to manage a range of diverse projects considering scope, cost and time.